Browse: Home » Goodbye Bannan Hall, Hello Charney Hall! I’ve occupied the same office, Bannan 200K, for the last 10 years. That’s the longest I’ve occupied an office (by at least 4x). So I got a little nostalgic saying goodbye yesterday to my decade-long home-away-from-home. So many memories! Starting next week, you’ll find me at Charney Hall 324. Charney Hall is a brand new building built to law school specifications (i.e., it’s not a refurbishment or an extension of an existing building). This is probably the last time in my career that I’ll occupy a new office in a new building. 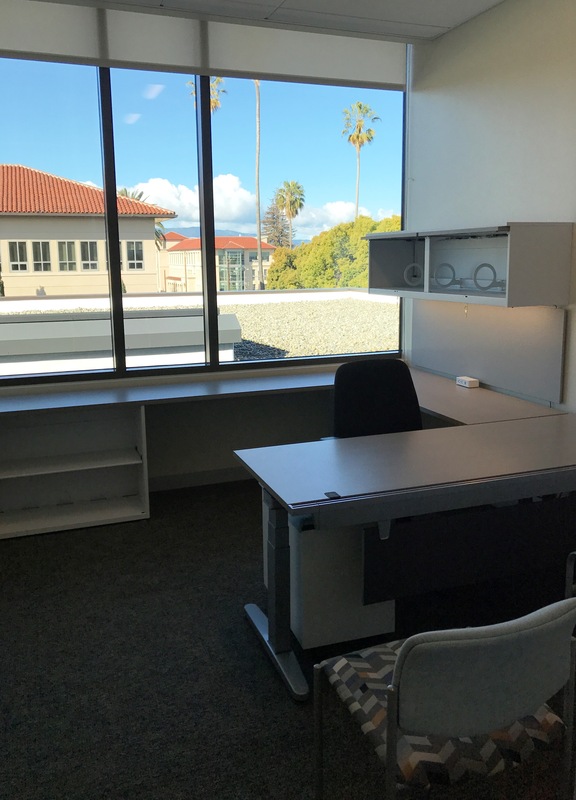 My new office has big windows, a wonderful west-facing view, and easy access to outdoor patio workspace (where you’ll most likely find me!). My nearest neighbors will be my colleagues Colleen Chien and David Yosifon. My office will be smaller than my current office, so I’ve already shed about 200 books and hundreds of pounds of paper, with more purging to come. 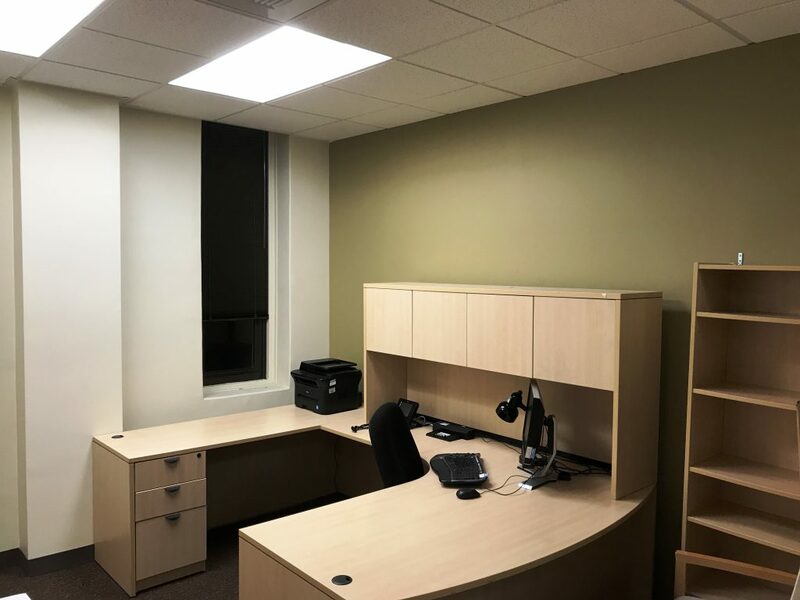 The next photo shows my new office before the boxes arrive. I figured I’d document the office before I mess-ify it, because it will never be this clean again. See my photo album of Charney Hall.